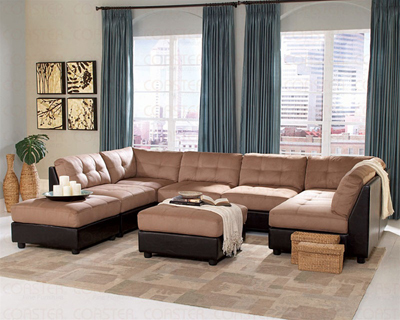 Design this modular collection to fit any room size that works best in your home. 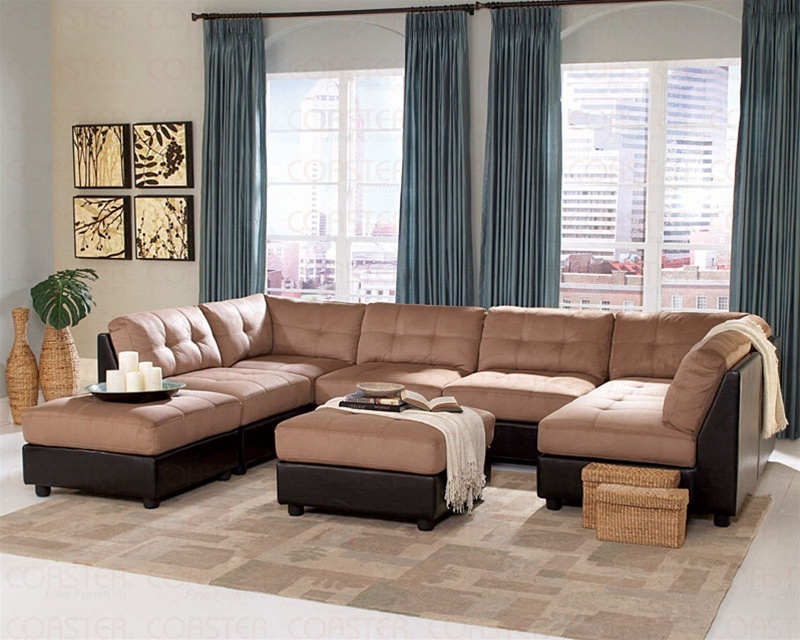 With thick padded microfiber seating it offers both comfort and durability. Hardwood frame, webbed back, sinuous spring base with attached back cushions. Padded brown microfiber with bicast vinyl base.